SEAMAN JOB INFO - Posted 11/21/2018 Magsaysay Maritime Corporation hiring officer for log bulk, car carrier ship join onboard A.S.A.P. Share to help other seaman looking jobs at sea. 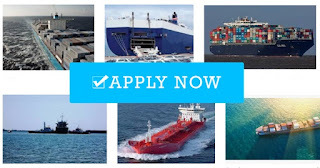 Worldwide shore-based shipping jobs maritime & shipping recruitment. Apply for the highest paid maritime jobs in your area now. 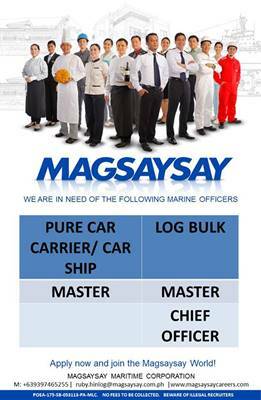 0 Response to "Hiring Crew For Log Bulk & Car Carrier Ship"